I love reviewing products, especially when it comes to new brands I've not tried before. 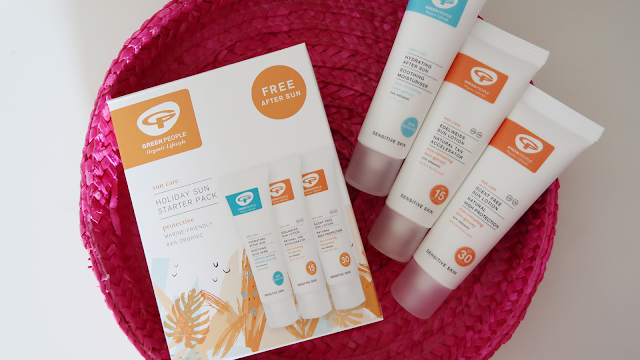 I have been kindly gifted these items from Green People, who are an organic and cruelty-free company that do some fabulous skincare, hair care and even cosmetics! The good thing about this brand is you can buy starter packs to try before you pull out money for the full sized products, which is a handy way to make sure you're happy with your purchase. I have 2 starter packs to review, both of which contain three 30ml tubes; a perfect amount to properly test the items out. The first starter pack is the hair and body care Superfood Starter Pack, which is the quinoa and artichoke shampoo and conditioner, with the quinoa and calendula shower gel. The first thing I noticed about these products is the smell; it has a very herbal and fresh scent, which really makes me picture how organic they are. The shampoo and conditioner are designed to refresh, revive, and uplift your hair with more volume, which is exactly what I need for my flat, lifeless hair. The shower gel is designed to boost your skin hydration and with hints of orange and lemongrass in there, it's really quite an energising scent on a morning. I have also been trying the Holiday Sun Starter Pack from the sun care range. The brilliant part about this range is that it's ocean-friendly and reef safe. The Edelweiss 15 SPF sun lotion also has aloe vera and avocado and helps to boost tanning by 25% while protecting your skin from UVA/UVB rays. The 30 SPF sun lotion is aloe vera, edelweiss and green tea, which has a higher UVA/UVB protection, is scent free so better for sensitive skin, and has added antioxidants and vitamins to support the skins immuine system while in the sun. Of course, it's not a "sun starter pack" without a good after sun. This pack includes a hydrating after sun with aloe vera, calendula and mint. It's peppermint scented and amazingly cooling on the skin. The best part about this suncare range is that they're not greasy at all, which you get from other brands of sun lotion or after sun. It soaks in quickly and is fast acting. Lastly, I was sent the Volumising Mascara which is a certified organic mascara in black. It has natural mineral pigments for the depth of colour, and natural cellulose microspheres boost the volume of your lashes. 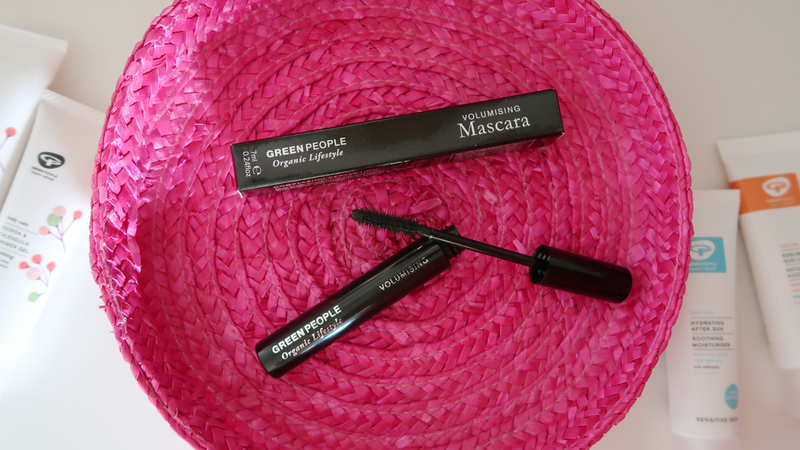 This mascara definitely does add some volume to my lashes, and I really like the effect it gives. I only wish the wand wasn't a straight, plastic bristle wand. I just personally prefer the pine cone, brush wands as they tend to grip my lashes more. The range of cosmetics are specially designed for people with eczema or psoriasis, so if you have skin conditions like this, these could be the products for you! It's great to come across cruelty-free companies and have a new brand to add to your "to use" list. I really enjoyed the shampoo and conditioner in particular and I love the look of their organic cosmetics. Overall, Green People seem to be a brand I haven't seen an awful lot of people talk about, but I really think they should be up there with the other well-known cruelty-free haircare, body care and cosmetic brands.